Every summer, millions of high school graduates start planning for their next adventure: college. Some of this preparation centers around things like picking a major or acclimating to a new life away from home, but a great deal also focuses on shopping. Picking the right laptop, furnishing a dorm room, updating a wardrobe — these are all top-of-mind topics for new (and returning) college students. And let’s be clear about something: this is big business. The average college student (and his or her family) spent more than $1300 on back-to-college shopping 2015, and that figure it expected to rise in 2016. All told, American families will spend $48.5 billion dollars on back-to-college shopping, the National Retail Federation predicts. That’s almost twice as much as families will spend on traditional back-to-school shopping. You don’t need to be on the dean’s list to know that, with that much money at stake, retailers carrying everything from clothing and furniture to technology products are tripping over themselves to get in front of this lucrative audience. In large part, their 2016 success hinges on their ability to understand, attract and satisfy back-to-college shoppers. But that’s where the problems start. How can retailers get in front of back-to-college shoppers? And, once they do, how should they engage these shoppers? The back-to-college audience is much different than the traditional back-to-school crowd, and the same marketing and advertising tactics won’t necessarily work for college-age consumers. Luckily, there is social media. Back-to-college shoppers routinely take to social networks to solicit recommendations, offer advice, and express their emotions about the whole back-to-college shopping experience — and analyzing their conversation on social about this topic can reveal some important insights about where, how and when they talk about back-to-college shopping. In this post, we use social media analytics to see where back-to-college conversation is taking place, what it’s focusing on, and who’s participating. We looked at over 300,000 back-to-college conversation between May and September 2015. The one thing our analysis makes abundantly clear is that Tumblr is an extremely popular venue for back-to-college shoppers. In fact, Tumblr accounts for nearly a quarter of the back-to-college social posts we analyzed. If that doesn’t seem like a ton, it’s useful to put it in context. While Tumblr accounts for just a fraction of the volume as Twitter, its proportion for back-to-college conversation still far outpaces similar topics. For example, Tumblr is responsible for just 8% of Black Friday conversation. Compared to other shopping events (and to the rest of social conversation more generally), back-to-college shopping conversation occurs disproportionately on Tumblr. Throughout the summer, Tumblr fills up with college-bound consumers trading tips and deals about shopping. More than any other social network, Tumblr appears to have emerged as the headquarters for back-to-college conversation. Our analysis revealed that Tumblr dominates much of the back-to-college conversation for two main reasons: demographics and format. The demographic overlap between Tumblr and back-to-college shoppers is the most obvious reason for Tumblr’s centrality to the conversation. For obvious reasons, people who participate in the back-to-school conversation are in their late teens and early 20s. In fact, our research shows that a full half of people engaging in the back-to-college conversation on social are between 18 and 24. The majority of people discussing back-to-college shopping on social are between 18 and 24. Unsurprisingly, this falls right in Tumblr’s sweet spot. 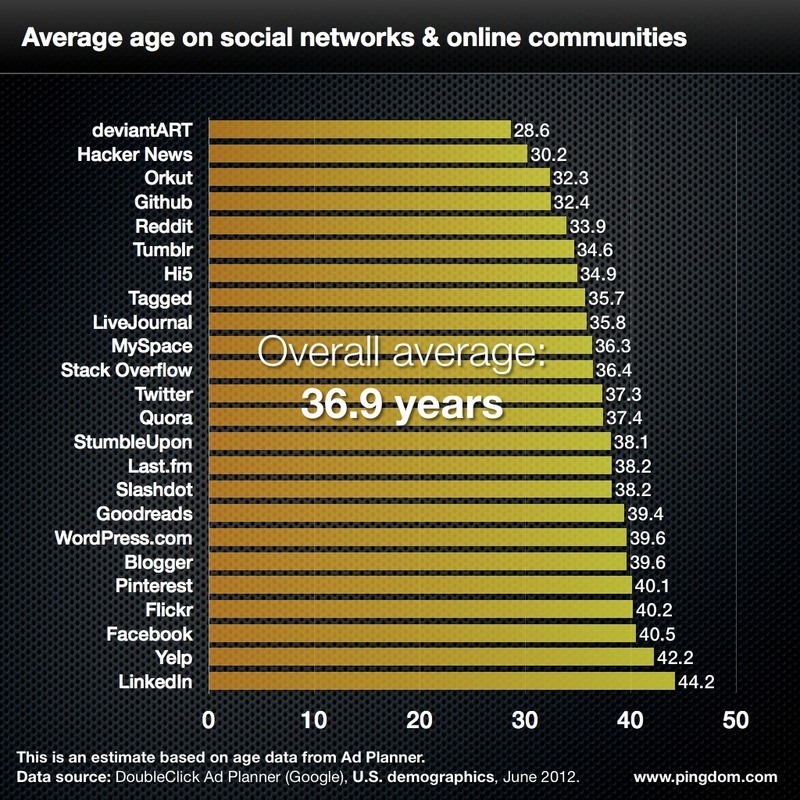 Tumblr has one of the lowest average ages of any social network and it shares its largest age cohort with back-to-college shoppers, 18-24. For this reason alone, Tumblr is a natural landing pad for much of the social conversation surrounding back-to-college shopping. When people discuss back-to-college shopping on social, they often get into a fair amount of detail. This depth of conversation is another reason that Tumblr is such a popular venue for the conversation. Sure, simple expressions of excitement or anxiety are still perfect for Twitter’s microblogging structure, but consumers who want a more nuanced back-to-college shopping discussion often find Tumblr to be a better environment. In fact, Tumblr has become a place not just for sharing recommendations about college supplies and technology, but also a venue ripe for in-depth discussions about building shopping lists, decorating a dorm on a budget, and sharing inexpensive college fashion tips. These types of post fit perfectly within Tumblr’s wheelhouse: more substantive than Twitter, but shorter and more “off the cuff” than traditional blogging. If you’re looking for a place to provide DIY dorm decoration tips or the reasons you chose a Mac over a PC, Tumblr is the perfect outlet. For these two reasons, Tumblr has quickly emerged as a major source of back-to-college conversation. What we know so far: Tumblr attracts the perfect demographic for back-to-college shoppers and its format is perfectly suited to sharing recommendations and advice for college shopping. And yet…very few retail brands have a strong presence on the platform. So what gives? Why aren’t retail brands leveraging Tumblr in their attempts to engage back-to-college shoppers? There’s no clear answer to these questions aside from simply inertia. When Yahoo acquired Tumblr in 2013, there were clear and explicit plans to integrate it with Yahoo’s sales structure and turn it into a revenue powerhouse. For the most part, those plans haven’t yet borne fruit. This may not be the result of any failure on behalf of either Yahoo or Tumblr, it may in fact be due to the fact that businesses in general haven’t yet cracked Tumblr as a revenue source. The very things that make Tumblr so popular — a unique blend of blogging and social media — have also made it hard for retailers to unlock. Instead of an obstacle, though, this is an opportunity — for forward-thinking retailers. Retailers that find creative ways to tap into Tumblr’s built-in audience of college shoppers will likely see outsized rewards. By coming up with original content — like college shopping guides and lists of dorm room essentials — retail brands will likely be able to directly insert themselves in the organic conversation surrounding back-to-college shopping. We’ve already seen that college shopping is big business, and that’s it’s a big topic of conversation on social. The next step for brands is learning how to use that information to help them come up with creative campaigns to engage with this hugely important demographic. And this will be on the final exam.